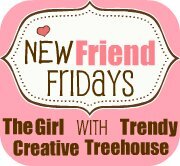 Today I'm participating in the New Friend Fridays Blog Hop at The Girl Creative and Trendy Treehouse. If you're stopping by for the first time, thank you so much! 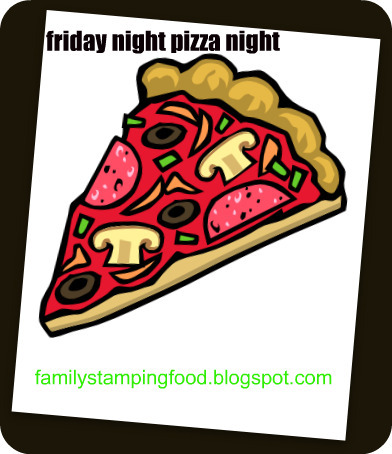 Each Friday I share a pizza creation and call it "friday night pizza night". I had to make two pizzas because my picky-eater (my hubby) doesn't like mushrooms. He was pretty happy eating his own Meat-a-tarian pizza. Over the last several Pizza Nights, I was trying to think outside of the box and come up with some interesting pizza creations. Some were brilliant, like the Meat-a-tarian and others were fails, like the Chicken Teriyaki. So this month I figured I give my family a break and try some "normal" pizzas. So that's what you'll be seeing this month. Mushroom & Sausage Pizza is pretty straight forward. But to save some money (you know me!) I purchased some breakfast sausage on sale. I chose a regular flavor, not Sage, so I could tweak it by adding some ground fennel. Adding the fennel will make it taste like Italian Sausage without the price tag. I do this with ground turkey, ground beef and just about anything. Prepare the pizza dough as directed. Spread the pasta sauce over the dough, top with mushrooms and sausage. Sprinkle evenly with mozzarella cheese and bake as directed. Hope you have a great family night! I haven't actually made a pizza before but the directions sound simple enough! thanks so much! I am new to your blog, but my husband and I tried the Hawaiian Pizza Recipe for dinner last night! It was great, but next time I think I will cook the pizza crust a little bit first before adding the topings...it was a little "dough-y", but still yummy! Your pizza sounds lovely. You are right, fennel is a great spice to use to give flavour to so many meats. My husband and I have 4 children (ages almost 9, 7, 5, and almost 3). I have been working very hard to move us from unknown dinner to Once a month cooking. I just wanted to THANK YOU for your pages because I was able to show my husband that someone else could do it and thus so could we!! My kids wanted pizza last night and tonight, but I didn't make it. I'd better deliver on this request soon--love your combo! When I was little we had a pizza night too, but it was always Little Caesars. lol.